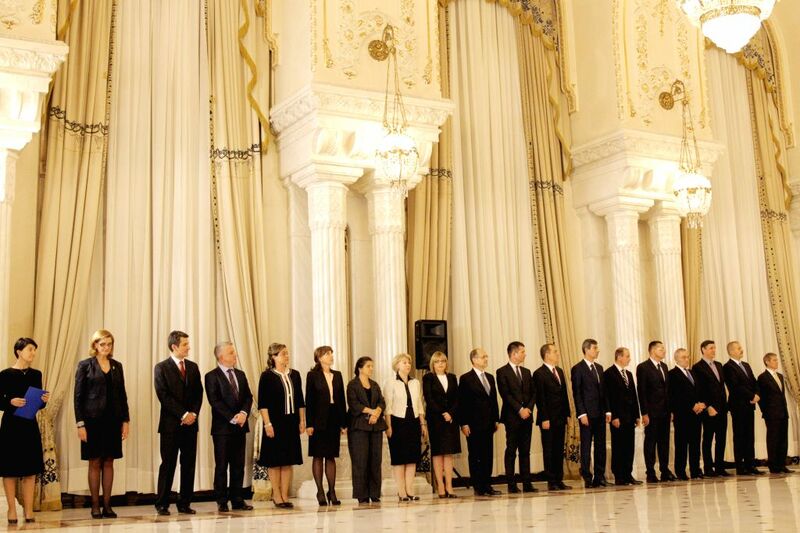 BUCHAREST, Nov. 18, 2015 - Members of Romania's new government attend the swearing-in ceremony in Bucharest, Romania, Nov. 17, 2015. 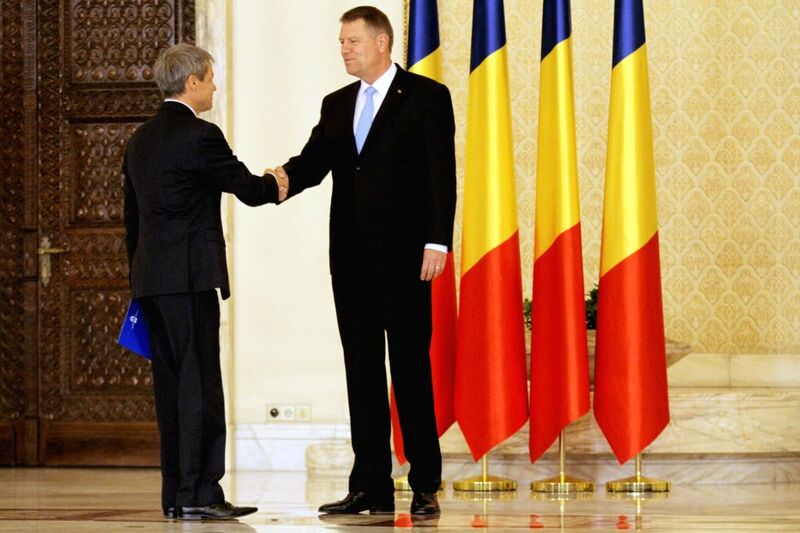 Romania's new Prime Minister Dacian Ciolos and the ministers of his Cabinet took the oath of office late Tuesday at the Cotroceni Presidential Palace, in front of President Klaus Iohannis. Romania's new Prime Minister Dacian Ciolos (L) shakes hands with Romanian President Klaus Iohannis after the swearing-in ceremony of the new government in Bucharest, Romania, Nov. 17, 2015. Ciolos and the ministers of his Cabinet took the oath of office late Tuesday at the Cotroceni Presidential Palace, in front of President Klaus Iohannis.